My daughter came home for Christmas break an hour ago and I’m so excited to spend time with her. Here’s a story I wrote two-and-a-half years ago about our relationship. I’m optimistic that I won’t annoy her so much during this time together. I understand how she feels. After all, I was once 19 years old. I remember it very clearly. Everything my mom did, I found unbelievably annoying. I’ll never forget sitting with her in the car, getting ready to shop at Bellevue Square. She had parked the car. She was fumbling through her purse, making sure she had what she needed. She reapplied her lipstick. Dug through her purse for her wallet to look through credit cards. Searched several times to check where she placed the keys. Would we never leave the car? Would I be stuck all day? I must have said something to her quite snippy, or flat out mean. A few tears rolled down her cheeks. Which made me more upset with her. Isn’t it a sad feeling, transitioning from a mom who could do no wrong—from changing diapers, to cooking their favorite spaghetti, to taping treasured colorings on the fridge that were made just for you—to being the person of their abject disdain? It’s a tough new role. Let me tell you. But, having gone through these feelings myself, I understand. I’m visiting my mom this week in her assisted living center. 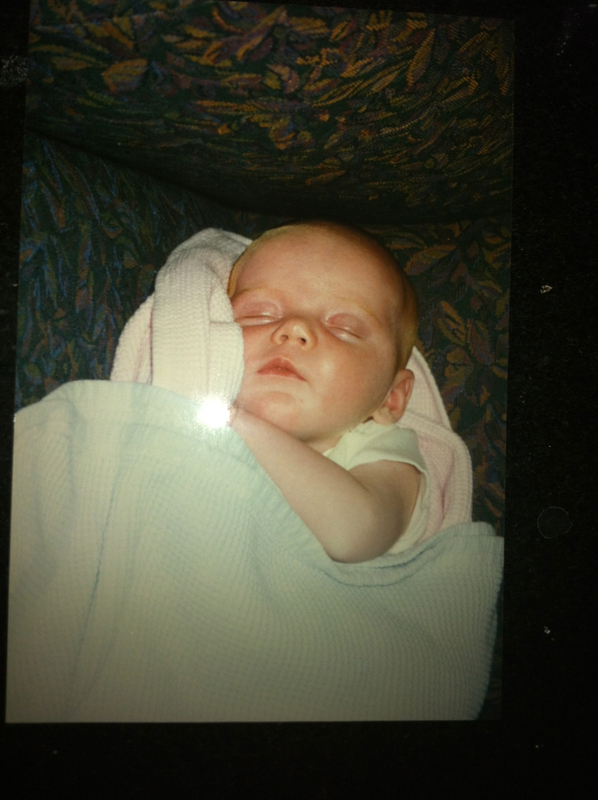 I talked about it with her, what I’m going through now, and what I felt like when I was 19. Fortunately, she doesn’t remember me ever being a snarky 19-year-old. For some reason, I’ve gained more patience throughout my life and that has been a blessing. I’ve also learned forgiveness. Something else, I’ve learned through the years of parenting: this too shall pass. It’s called independence and freedom. We want our children to grow and become separate human beings that can stand on their own. Sometimes they need to separate from us. A good time to do that is during their senior year of high school, or their freshman year of college. It’s a good thing. I keep telling myself that. However, we also want to be treated with respect, and once again—someday—to be cherished. I wrote more about separating from our kids and the experiences we go through when they leave for college here. Do you remember being annoyed with your mother when you were young? What did she do that you found so annoying? Please Someone, Tell Me That It Will Get Better! 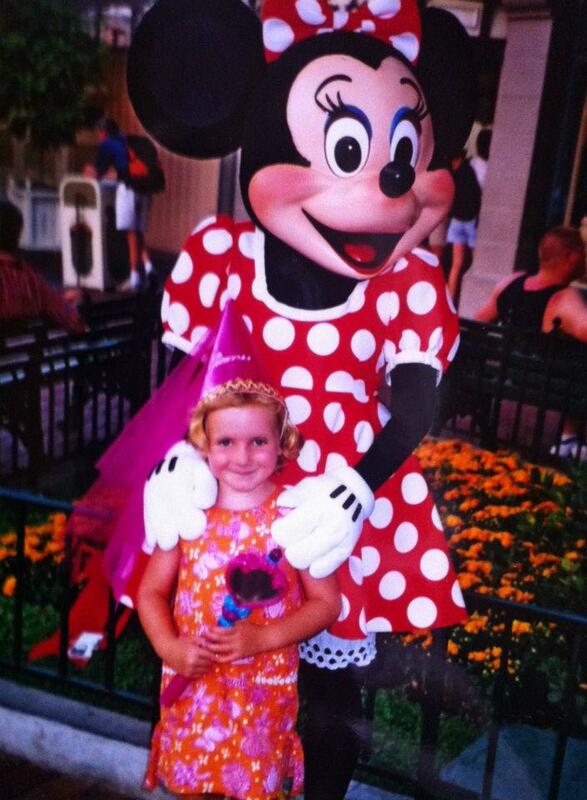 Disneyland 14 years ago. 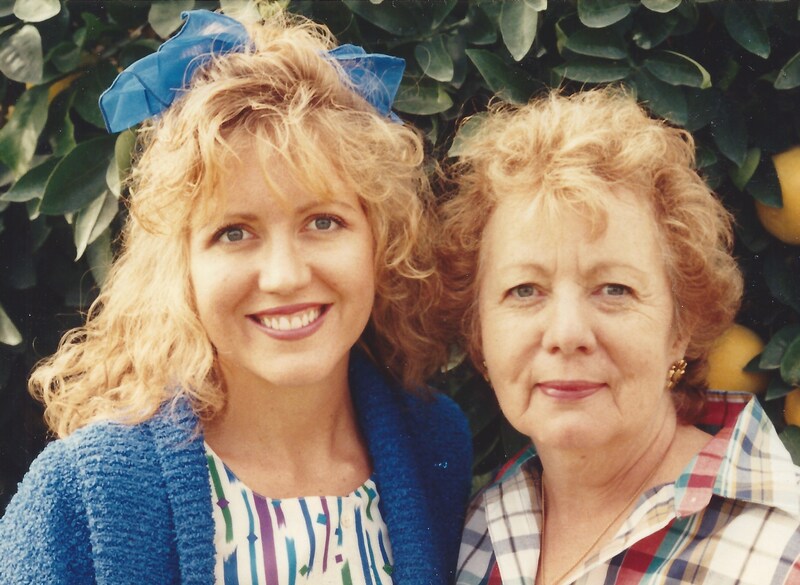 I remember a great mother-daughter day. I was texting a friend whose life is pretty much on the same track as mine. We both have our youngest off to school–at the same university–and our oldest ones almost finished. We met at the University’s orientation last summer with our incoming freshman and went to many programs together. 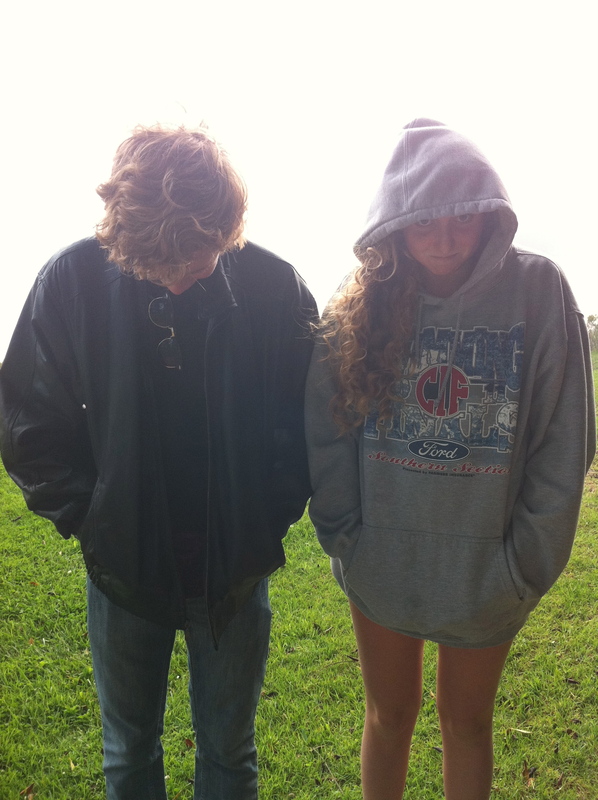 We realized we had met earlier in the spring at a high school swim meet. A beach day with my daughter. My point is that our lives are eerily parallel. We both visited our youngest children this past weekend. We stayed in the same hotel and ran into each other a few times. My husband and I went to watch our daughter swim in two meets. They were there to spend time with their daughter and to celebrate a birthday. I mentioned to this friend that I didn’t think I’d miss my daughter so much when it was time to leave. But, in reality it was worse this trip than on earlier ones. She said she felt the same way. I knew I’d be upset in August after we moved my daughter into the dorms and had to say good-bye. I wrote about that here. But, this was a close second in sadness. I had this awful lonely, empty heart. I sat in the airport with my husband feeling sorry for myself. I should have been feeling happy. My daughter is doing well in school, loves her team and has many friends. 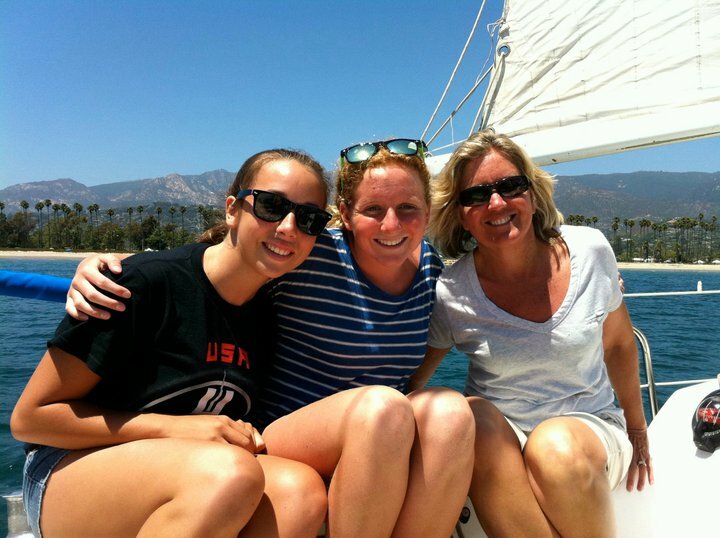 Sailing in Santa Barbara with my daughter and friends. In about three weeks, I’m traveling to my daughter’s conference meet. It’s close by to my mom. I will enjoy and embrace sitting by my mom’s side in her assisted living facility. Despite the sour smell, the closed windows and her refusal to open the blinds. I’ll happily sit with her and watch all the reruns of Golden Girls that her heart desires. I hope I can make her day a little brighter. Just the way my daughter makes mine. My mom and me. Before kids.